Massapequa High School hosted its annual Coaches, Alumni and Community Versus Cancer basketball game on Jan. 5. All donations from the awareness event, totaling $2,013, were given to the Lustgarten Foundation for Pancreatic Cancer Research. 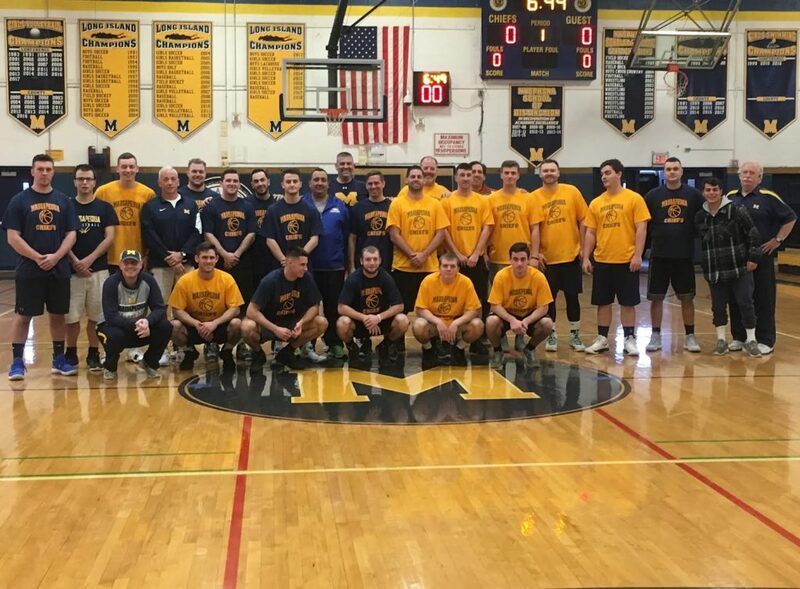 The event was a collaborative effort between the Massapequa High School varsity boys basketball team and coaches, player alumni, the basketball booster clubs, and family and friends of the basketball program. In addition to a passionate alumni game, there were raffle baskets donated from the middle school and high school basketball teams, along with numerous other raffle items and gift cards from local merchants. New York Knicks and Rangers game tickets were also raffled off. It was organized by high school physical education Chairman Martin Voigt, with support from Kathy Voigt, Kevin Voigt, Marianne Voigt, Betsey Anderson and Connor Payne. The voice of the game was Coach Brian Rath, coaches were Chris Cafiero and John Grant, and guest referees included Paul Buonaguro and Tyler Sohn. Photo Caption: Massapequa High School basketball alumni and coaches participated in a game to raise money for the Lustgarten Foundation for Pancreatic Cancer Research.